ControlTalk NOW — Smart Buildings VideoCast|PodCast for week ending August 14, 2016 features interviews with two well-recognized industry leaders: Scott Cochrane, president of Cochrane Supply, a multi-award-winning distributor, and Acuity Brands, Inc’s. new VP — IoT, Customer Experience, Eugene Mazo, who updates the ControlTrends community on the exciting future of DGLogik. 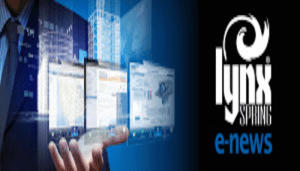 Learn about the upcoming SmartGrid.GOV meeting in Washington, DC; Webinars by Belimo, ACI, and Lynxspring; and EasyIO’s EasyStack, a software platform that leverages tagging and data modeling. 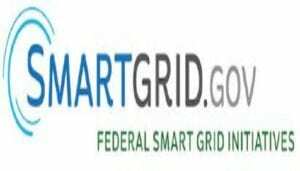 Please Help DOE Set Smart Grid Communications R&D Priorities August 30-31 in Washington, DC. The DOE Office of Electricity Smart Grid Communications R&D Roadmap meeting in Washington, D.C., on August 30-31, 2016, provides an opportunity for you and your organization to participate in the development of a roadmap intended to address gaps in research and development and current options that utilities have to solve their communications needs today. 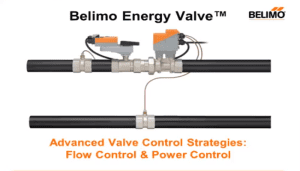 Webinar on Belimo Energy Valve Data Analysis Tool, Wednesday, August 17 at 1:00 PM EDT. In this 30 minute webinar you will learn how the Energy Valve Data Analysis Tool is used in conjunction with the Belimo Energy Valve to provide analysis of stored data to deliver efficiency, and cost savings for your system. 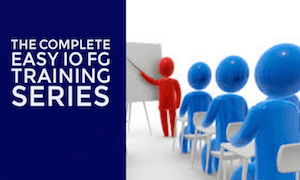 This tool can seamlessly import up to 13 months of trended data, along with performance metrics of a system—which all can be viewed graphically. LIVE ACI Gas Sensor WEBINAR August 24th, 10:00 AM, CST, with Brant Kasbohm. GAS SENSOR WEBINAR, 8/24/16 10:00 A.M. CST. 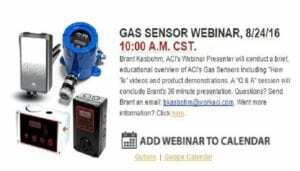 Brant Kasbohm, ACI’s Webinar Presenter will conduct a brief, educational overview of ACI’s Gas Sensors including “How To” videos and product demonstrations. A “Q & A” session will conclude Brant’s 30 minute presentation. Questions? Send Brant an email: bkasbohm@workaci.com. Want more information? 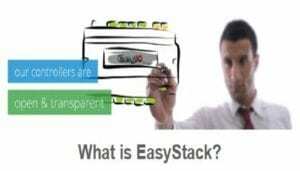 What is EasyStack? 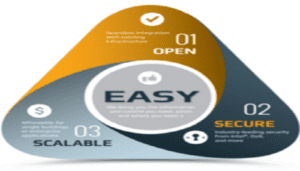 EasyIO’s Software Platform that Leverages Tagging and Data Modeling. EasyStack is a complete BMS/EMS software platform that leverages tagging and data modeling based on the Project Haystack open source initiative. (If you’re not familiar with Haystack check it out here. The EasyStack Framework is agnostic in the sense that it incorporates built in drivers allowing for connection to BACnet, Modbus, sql, etc. You can pull in data from just about anywhere. 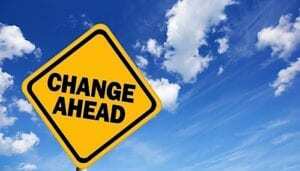 Change Ahead: Forget about Wire! The Pen that Draws Electric Circuits! Another example of the new technologies and trends that will change the way we design, build and run smart buildings. I am blown away by this technology from the Japanese from Kandenko. Kandenko has grown to become one of Japan’s leading general infrastructure firms, and earned high acclaim and a solid reputation for its contributions to the creation of comfortable living environments, pleasant yet cutting-edge workplaces, and safe and functional local communities.
. 30 Minutes with Lynxspring Webinar Series — A Look at Variable Frequency Drives The next “30 Minutes with Lynxspring”, our monthly webinar series featuring Lynxspring subject-matter experts and special guests, continues Wednesday, August 17th at 11:00 AM CDT. 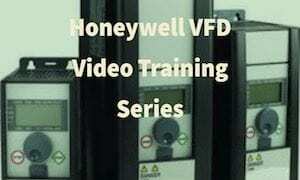 August’s Webinar looks at Variable Frequency Drives. Variable Frequency Drives play a critical role in the efficiency and performance of a building. 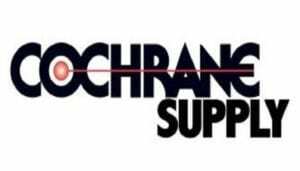 They help increase system reliability, maximize equipment lifetime value, contribute to saving energy, lower maintenance costs and add to overall smoother operations. An Excited Eugene Mazo, VP — IoT, Customer Experience at Acuity Brands,Inc., Explains DGLogik’s Future. During our second ControlTalk NOW interview with Eugene Mazo, VP — IoT, Customer Experience Acuity Brands,Inc. 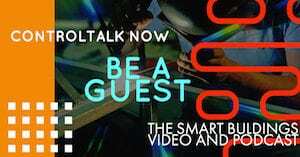 (Formerly CEO, DG Logik), the ControlTrends Community gets a firsthand update on the major developments and the future of DGLogik and its technology. In summary, it’s a win for Acuity Brands, Inc.; a win for DGLogik: and a win for DGLogik’s OEM partners, Distributors, Resellers, and Systems Integrators — as DGLogik moves forward with a lot more scale and resources. EasyStack is a complete BMS/EMS software platform that leverages tagging and data modeling based on the Project Haystack open source initiative. (If you’re not familiar with Haystack check it out here. The EasyStack Framework is agnostic in the sense that it incorporates built in drivers allowing for connection to Bacnet, Modbus, sql, etc. You can pull in data from just about anywhere. EasyStack allows system integrators the ability to build an entire solution using a unified tool set optimized for efficient work flow. With EasyStack you can set up equipment graphics, histories, alarms, schedules, logic, notes, etc. It was designed to encourage community collaboration and seamlessly supports add-on applications such as automated analytics, custom dashboards, and many others. EasyStack tagging and data modeling makes it possible to set up queries to access data and can live at every level of the architecture; the edge device, global controller, server, or in the cloud. You can mix and match hardware components creating system architectures to meet whatever the project might require. 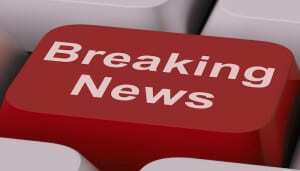 EasyStack’s newest version is designed in pure HTML5. Your mobile experience and desktop experience are identical. 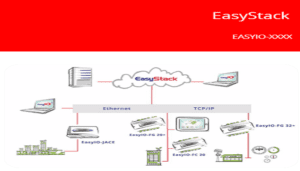 EasyStack is a software technology that combines the core functionality of a Building Automation System (BAS) for connecting and controlling devices, with the added benefits of a Building Operating System (BOS) to manage and leverage data. The technology uses tagging and data modeling to provide unprecedented capabilities and functionally. 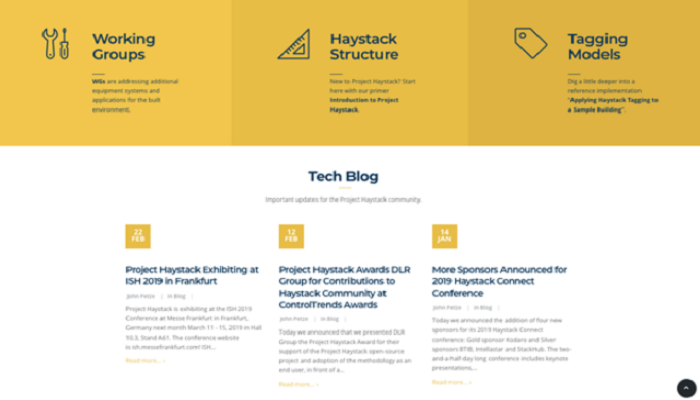 The Haystack open standard also provides options and choices for the best combination of solutions from the wider collaborative Haystack community. Please contact Simon if you could not make it the roadshow and still wanted to have the latest information about EasyStack. Please contact Simon, if you want some more information or if you want to organize a CPT or EasyStack at your own office. NREL’s Dylan Cutler Works to Help the Navy Reduce Energy Consumption! NREL’s Dylan Cutler describes his work on NREL’s Energy Intelligent Campus project and ways that can translate to industry. Through an energy management and information system, Cutler looks at ways to bring together a variety of buildings data into a software platform where users can make intelligent decisions on how to manage their buildings and generation assets. NREL is partnering with the NREL to identify enterprise-wide buildings cost reductions and consumption of energy support their mission. A lot has been going on here at J2 Innovations! 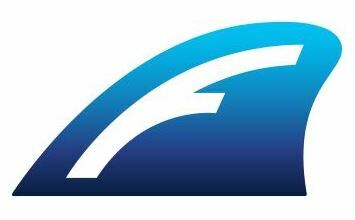 We recently announced our game-changing technology FIN 4.0 along with exciting new FIN Certified Hosts platforms. Check out the video below to experience first hand how FIN 4.0 uses tagging, data modeling, and HTML 5 to fundamentally change our industry. Attention Systems Integrators! Get Jobs Done Faster and Easier — with industry leading software tools and cool applications that will help you sell more jobs, which you can engineer quicker, at a lower cost, generating more revenue for you — and more value for your customers. RICHMOND, VIRGINIA (PRWEB) APRIL 28, 2016: Project Haystack Adds New Members Demonstrating Continued Acceptance of the Organization’s Standards for Semantic Modeling and Tagging of Device and Equipment Data. 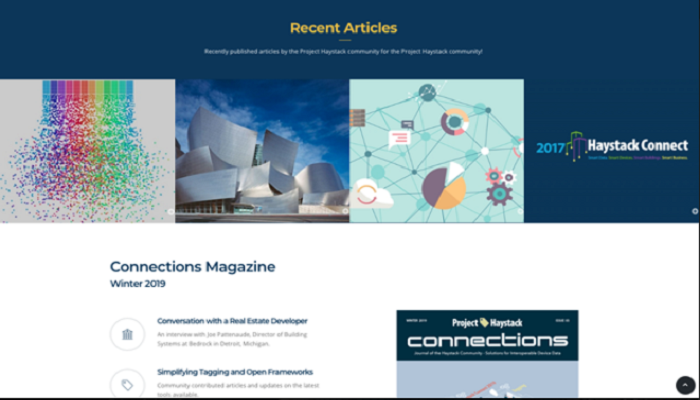 The Project Haystack Organization, a collaborative community addressing the challenge of utilizing semantic modeling and tagging to streamline the interchange of data among different systems, devices, equipment and software applications in order to lower the cost of intelligent building and IoT solutions, today announced three new Associate Member companies – Arup, Connexx Energy and Intellastar Technology. The Project Haystack Organization (http://www.project-haystack.org), a collaborative community addressing the challenge of utilizing semantic modeling and tagging to streamline the interchange of data among different systems, devices, equipment and software applications in order to lower the cost of intelligent building and IoT solutions, today announced three new Associate Member companies. Arup is an independent firm of designers, planners, engineers, consultants and technical specialists offering a broad range of professional services. Through their work, they make a positive difference in the world, highlighting their mission statement ‘We shape a better world.’ The firm looks at every project with a fresh perspective, no matter how big or small it may be. They support and promote in its people a willingness to think laterally. Often, this willingness to take a creative approach produces ideas and concepts that may not have been immediately obvious, but which often deliver the best solutions. Investing heavily in research and development is important to Arup as it informs its approach to projects, and keeps it focused on ‘future-proofing’ its design, as well as best practices. It also invests in skills networks and facilitates the constant exchange of ideas between its people, no matter where they are based or what discipline they belong to. 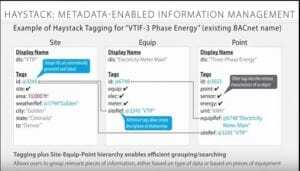 Arup believes that ‘semantic tagging’ is critical in the future world of ‘big data’ and ‘Internet of Things’ connected devices to ensure that it is easy to identify. Building control system data is commonly poorly labelled and named, which means that when any other software or system wants to extract the data, it cannot easily identify what it is. 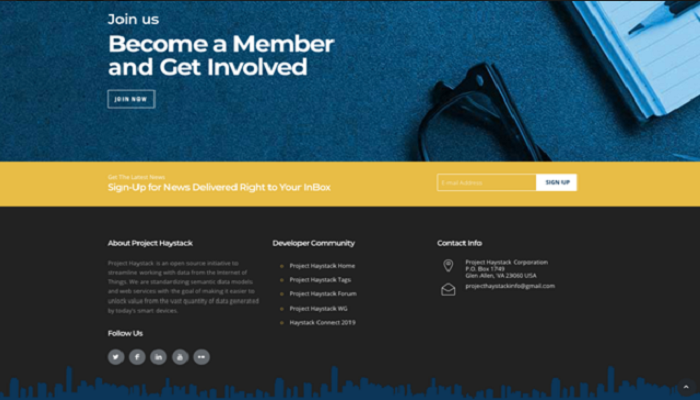 “Becoming a member of Project Haystack is very exciting. Our common goals mean we can collaborate to create innovative building systems which provide easy and understandable access to the wealth of available data. We look forward to working together in the future.” Richard Reid, Arup. Connexx Energy is a recognized leader, developer and implementer of ‘last mile’ energy solutions for Smart Grid and Smart Buildings. The company’s Connexxion® is a SaaS Data Management Platform that combines the core functionalities of IT and OT with secure connectivity, normalization, tagging, data modeling, analytics and integration of smart energy data into the corporate business intelligence layer. Connexxion® eases the challenge of integrating data from diverse systems and applications to effectively analyze, visualize, and derive value from the data. Intellastar Technology is at the Intersection of Smart Buildings and Smart Grid. The InferStack Software Platform is deployed in Servers and T-Star Field Devices, communicates over Intellastar Connect Cellular Data Service, to provide a complete technology to deliver Smart Buildings and Smart Grid solutions. InferStack connects to the in-building systems to provide Energy Monitoring and Analysis, Analytics for Fault Detection and Diagnostic, Control for Plant Optimization–all features to make a smart building and reduce energy consumption and waste. On the Smart Grid front, Intellastar capabilities include revenue grade metering for monitoring and settlement, automated demand response, time of day pricing and micro grid control and optimization. These new members join the existing Associate Members and the founding member companies: Airmaster, J2 Innovations, Lynxspring, Siemens, SkyFoundry, Wattstopper and Yardi/Enerliance. 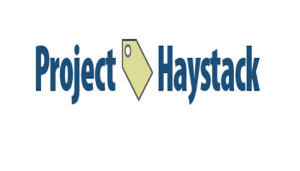 About Project Haystack: Since its formation in March of 2011, The Project Haystack organization (a 501C non-profit trade association) has grown tremendously providing the industry with an open-source, collaborative environment to address the challenge of making data self describing through the use of semantic modeling also known as data tagging. 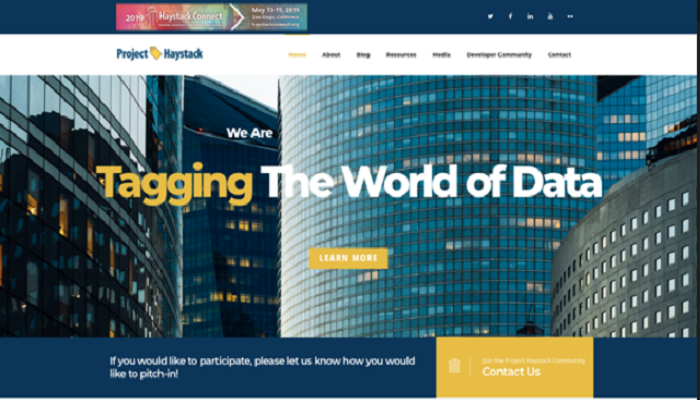 The work developed by the Project Haystack community streamlines the process of managing, presenting and analyzing the vast amount of data produced by smart devices and equipment systems. Project Haystack techniques can be used with virtually any type of system and device data and is not tied to any vendor or communication protocol. More information about Project Haystack is available at: http://www.project-haystack.org. Using an integrated live audience, a host of visual props, and three screens, the masters of Mythbusting, Jason Briggs and Scott Muench brought Haystack tagging to life instantly and with profound effect. In close cooperation and support of the growing Haystack community of manufacturers, vendors, and sponsors — including : J2 Innovations, SkyFoundry, Lynxspring, Altura, Pacific Controls, Siemens, KMC Controls, Contemporary Controls, WattStopper, Veris, bueno, Onicon, Wind, Daintree Networks, BASSG, Airmaster, Connexx energy, Lobos/Yardi, Intellastar, and CBRE/ESI, Project Haystack continues its mission to bring the world of building integration to maximum efficiency and benefit. 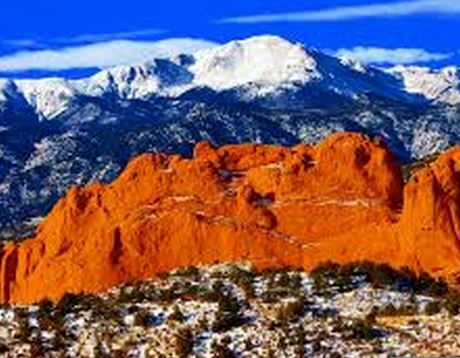 The majestic snow covered Pikes Peak contrasted by the wondrous earthy red rock formations of the Garden of the Gods provided a suitably inspiring setting for Haystack Connect as it resumed its mission to adroitly usher in the world of self-defining data — in a collaborative way that no single-minded entity could possibly achieve. Marc Petock and three special guests, Brian Frank, Anno Scholten, and Richard McElhinney join ControlTrends for a pre-reception discussion of why some 240 of the top global automation and IoT professionals are attending the second Haystack Connect meeting, and what the continued growth and success of Project Haystack represents for the future of building data. Bryan Frank, founder and president of SkyFoundry, a software company specializing in the storage, analysis, and visualization of data from the Internet of Things. SkyFoundry’s software is used across the world in thousands of sites to analyze and optimize M2M systems including energy, HVAC, and lighting. Anno Shelton, C.E.M., C.D.S.M. and President of CONNEXX Energy. Anno has spent the last 25 years driving innovation in building control systems and smart grid technologies where he has developed leading edge, smart grid energy products for the commercial building markets. Anno is a widely recognized industry expert and sought after speaker at building automation and smart grid conferences and holds a US Patent on a distributed-architecture building controller. Richard McElhinney, Chief Software Architect at Airmaster Australia and Conserve it. Richard is a founding member of the Project Haystack 501C corporation and a member of the board of directors. As an early contributor to project-haystack.org Richard was the author of the first Niagara AX semantic modelling implementation which has served as the basis for the current NHaystack implementation. Day 1 General Session, Opening Comments and Keynote Speakers: David Mantell, Vodafone and Dr. Milan Milenkovic, Intel. What is Haystack? Project Haystack is an open source initiative to develop tagging conventions and taxonomies for building equipment and operational data. We define standardized data models for sites, equipment, and points related to energy, HVAC, lighting, and other environmental systems. A simple REST API is defined to facilitate exchange of Haystack data over HTTP. Why Do We Need Haystack? Macro trends in technology are making it increasingly cost effective to instrument and collect data about the operations and energy usage of buildings. We are now awash in data and the new problem is how to make sense of it. Today most operational data has poor semantic modeling and requires a manual, labor intensive process to “map” the data before value creation can begin. Pragmatic use of naming conventions and taxonomies can make it more cost effective to analyze, visualize, and derive value from our operational data. Who Should Participate? Project Haystack encompasses the entire value chain of building systems and related intelligent devices. Owners and consultants can specify that Haystack conventions are used in their building automation systems to ensure cost effective analytics and management of their buildings for years to come. System integrators and manufacturers who integrate Haystack support into their projects and products are positioned for the future of value added services. Open Source: The Haystack community and all associated intellectual property is managed as an open source project using the Academic Free License 3.0. Anyone is free to participate as long as contributed IP is licensed under the AFL. This ensures that Haystack IP is open and freely available for any commercial use.